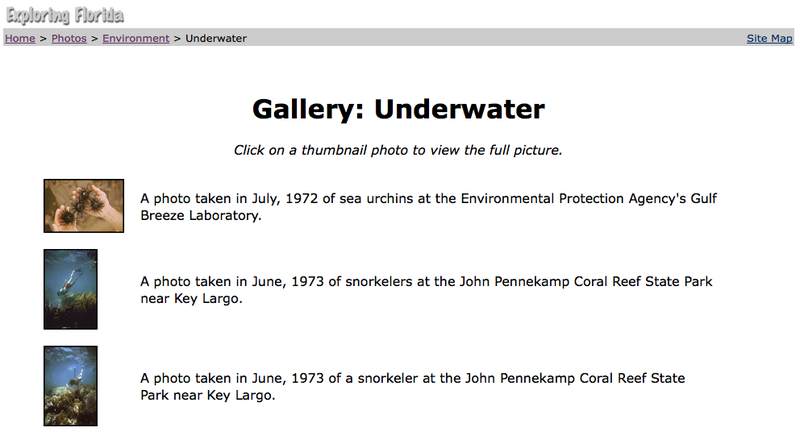 The purpose of this assignment is to discuss the formation and existence of the Florida Keys and its sea life. This project would be a year-long project with a field trip culminating at the end of the year to the John Pennakemp park. Part One discusses the history and formation of the Florida Keys and their purpose as a landmass. Part Two discusses the wildlife and sealife of the Keys and the human population. Part Three discusses the potential issues surrounding the Keys and its natural habitat (polluted waters, hurricanes, rising sea water, population growth, tourism, etc.). Part Four would culminate with the class deciding the best course of action with regards to the Florida Keys (protect, use and discard, etc.). Each reason must be thoroughly backed by scientific research and if the class is divided, a well-structured debate could take place. In each part, students will turn in assignments. Part One will be a group paper collaborated via Google Docs. Part Two will be a powerpoint/Flash presentation detailing the common wildlife and habitat. This presentation must include pictures. Part Three can be delivered as a videotaped news show, or interview with an "expert." And, Part Four would be a collaborative project with the class - a 3-fold board to be displayed in the school's administration office.